Can you believe that Rajinikanth is still nervous about the fate of his films at the box-office? 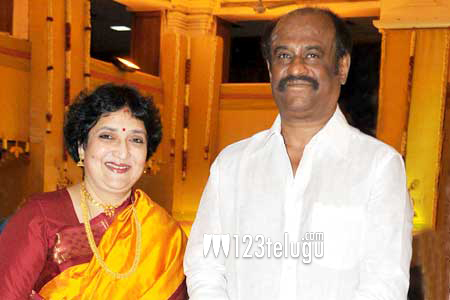 It’s true and his wife, Latha Rajinikanth herself confirmed this fact in a recent interview. Although she hasn’t produced the film, she has been closely involved in the making and she even sang a song in the film. Talking about her husband, Latha said, “He still gets excited and nervous before a release. He’s still a student of cinema like he used to be.” Since Kochadaiiyaan is Rajinikanth’s first film in more than four years, he’s all the more eager to see how the audience reacts to the motion capture technology that they have used in the film. Soundarya Rajinikanth has directed the film and Deepika Padukone has played the lead role opposite Rajinikanth. A R Rahman has scored the music. The film is expected to release on May 9.